Gray Ball Lock Quick Disconnect. 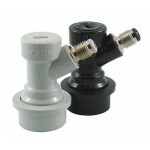 Quick disconnect for the GAS-IN side of ball lock kegs (Pepsi-..
Gray Ball Lock Quick Disconnect. 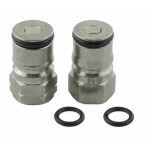 Quick disconnect for the GAS-IN side of ball lock kegs (Pepsi-style..
Black Ball Lock Quick Disconnect. 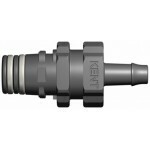 Quick disconnect for the LIQUID-OUT side of ball lock kegs (P..
Black Ball Lock Quick Disconnect. 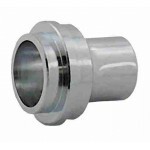 Quick disconnect for the liquid-out side of ball lock kegs (Pepsi-..
Pin Lock Quick Disconnect. 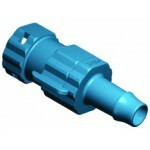 Gray top, 2 pin, twist-lock quick disconnect for GAS-IN side of..
Pin Lock Quick Disconnect. 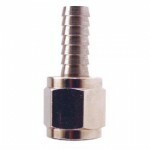 Gray top, twist-lock, 2 pin quick disconnect for GAS-IN side of..
Pin Lock Quick Disconnect. 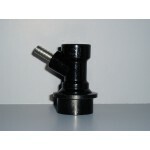 Black top, twist-lock, 3 pin quick disconnect for LIQUID-OUT side of.. 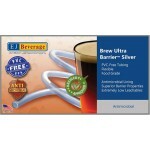 This is clear heavy wall, flexible, vinyl tubing in 1/4 inch inner diameter by 1/2 inch outer d..
EJ Beverage Brew Ultra Barrier Silver™ Tubing is constructed of a unique compound that provides.. 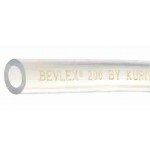 This is clear heavy wall, flexible, vinyl tubing is 3/16 inch inner diameter by 7/16 inch ..
¼” Barb with Female Quick Connect (Collection 3). Internal shut-off stops flow when disconnected. Th..
¼” Barb with Male Quick Connect (Collection 3). Internal shut-off stops flow when disconnected. The ..
¼” Barb with Male Quick Connect (Collection 3). 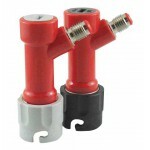 Open flow connector with no Internal shut-off, does ..
Nylon 3 way barbed fitting, 1/4" Barbs used for splitting your CO2 gas line into two lines. 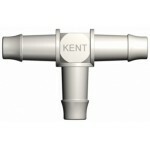 Kent ..
3 way barbed fitting made of thinwall stainless steel for splitting one gas line into two. 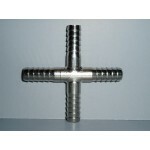 Thi..
4 way barbed fitting made of thin wall stainless steel for splitting one gas line into three. .. 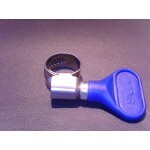 This 1/2" diameter, Easy Turn Hose Clamp (Blue) is Ideal for 1/4" and 3/16" keg line or 3/.. 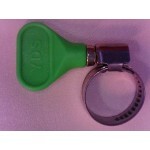 This 3/4" diameter, Easy Turn Hose Clamp (Green) is ideal for 1/2" High Temp Tubing. Easy.. 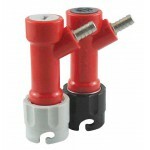 This 5/8" diameter, Easy Turn Hose Clamp (Orange) is ideal for 5/16" gas line, 3/8" High Temp, and 1.. 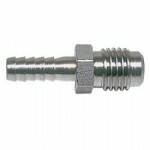 Stainless steel 1/4" male flare thread on one end and 1/4" hose barb on the other end. Can be used w.. 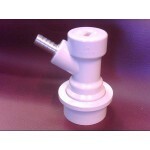 This 1/4" female flare nut with 1/4" hose barb. 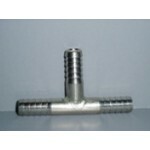 Commonly attaches to flare thread ball-lock or .. 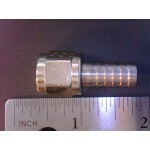 This 1/4" female flare nut with 5/16" hose barb. 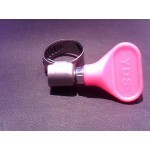 Commonly attaches to flare thread ball-lock or.. 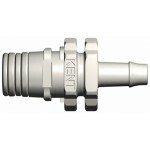 This fitting has 1/4" flare thread on one side shank mating on the other side. Allows for.. 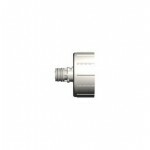 Female Carbonator Cap Quick Disconnect with ¼” Barb (Collection 4) Internal shut-off.. 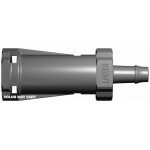 The Carbonator Cap by KENT Systems is a handy, 2-part, small scale forced carbonation system. ..